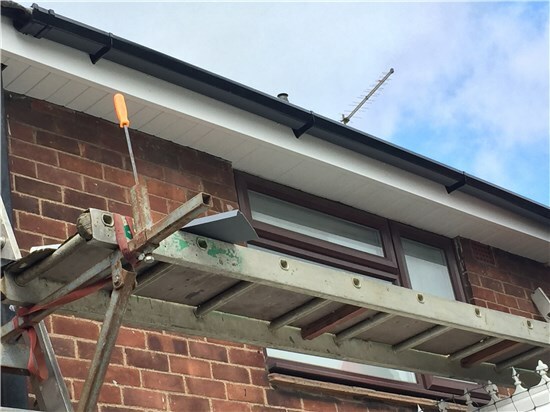 Removed all the old wooden fascias and soffits, removed the old gutters and drain pipes (downpipes). 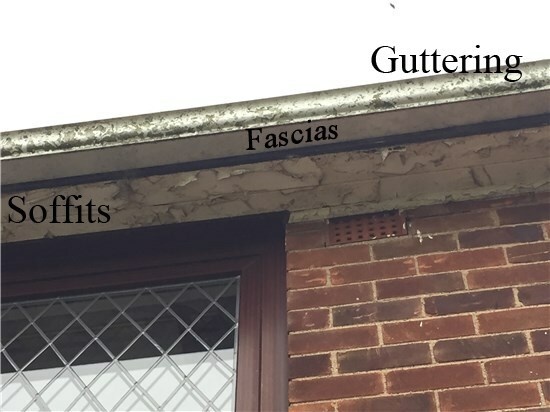 A gutter that is full of leaves and debris cannot function the way it was intended to. The accumulation of leaves and debris will stop the rain water to running efficiently along the gutter and into the drain pipe and down into the drain. 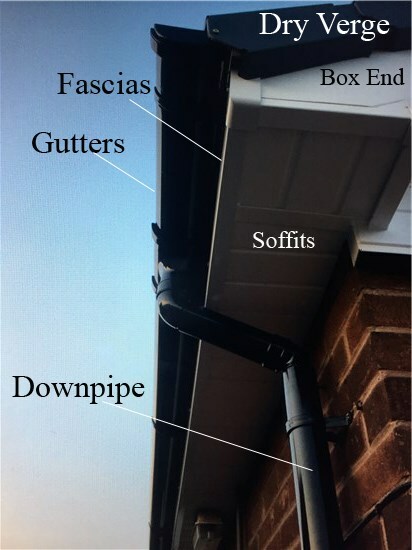 This in turn can cause the rainwater to come over the sides of the gutters and bypass the downpipe which can cause damage to wood, walls and the landscape below.